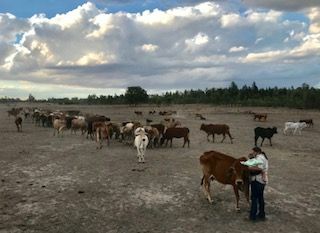 We are a family of 4 living 50 kms north of mungallala. Primarily this job will be revolved around helping out with house work, washing, general housekeep and cooking is an advantage but not essential. 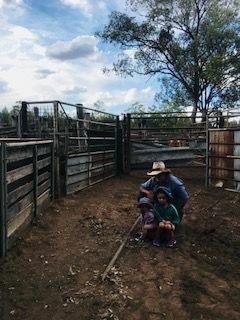 Things dont stop there, we are happy to have you on bore runs, mustering cattle and when needed helping with my two daughters 3.5 years and 18 months, YOU WILL GET THE FULL OUTBACK EXPERIENCE IN A REAL AND FRIENDLY ENVIRONMENT. we have a large team of working dogs and ride horses regularly. you will be apart of the family and any activites we do you are more then welcome to take part in. The closest large town is roma, only 180kms from us, all the neccasary shopping and plenty of local social events and you will never run out of things to do. This is a female position only. Looking for someone bubbly, friendly, honest and keen to try her hand at anything. To take this job on you must hold a Blue card or be willing to get one.